Marina Makhlouf CA is the principal of Abbey Partners Chartered Accountants and Business Advisors located in Castle Hill. 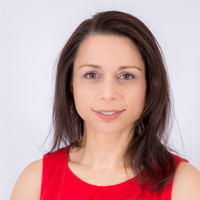 Marina has over 20 years experience in the preparation of tax returns for individuals, partnerships, companies trusts and superannuation funds (SMSFs). Abbey Partners also specialises in SMSF and Company formations and provides tax advice in relation to setting up the correct business structure. Located in Sydney’s Hills District, Ability 2 Learn offers exceptional education for children aged 2.5 years to 18 years. Our professional, resourceful and responsive team care and connect with every child supporting them to reach and exceed their academic goals. Aimed at pre-schoolers and K-12 students, classes at Ability 2 Learn are designed and delivered by qualified tutors who encourage children to actively participate in learning. Has your dancer grown out of their jazz or tap shoes, do they have any stockings without holes? Exams approaching? Need new ballet shoes? What about some great double soled tap shoes? Don’t want to pay a small fortune for jazz shoes & stockings for school dance? I appreciate just how expensive it can be to outfit a dancer, as a mum of two competitive dancers I’ve spent many years researching brands that are affordable & yet still top quality. At Active Style Dancewear we have stockings from $10, ballet shoes from $30, jazz shoes from just $25 and much more...purchase online, by appointment or we can come to your dance studio. Here at Aerial Enchantment we offer Aerial Silks, Lyra and Hammock for juniors (5-10 years), teens (11-15 years) and adults. 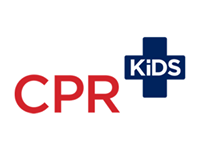 We also run a preschool program for 18 months-5 year olds. 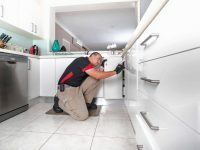 Aktiv Electrical provides a premium service in electrical installation, repair and servicing for our clients in Parramatta, Hills Districts, Blacktown, and throughout Sydney. Offering a friendly and reliable service, we are insured to work on your property. Let us do the jobs that you don't want to do. Call Dave for a no obligation free quote today. When it comes to Antennas and all things audio-visual we know exactly what we’re doing and we love what we do. We’re local area experts who’ll go the extra mile to make sure your watching TV and listening to your favourite tunes as quickly as possible without compromising on quality. Professional service and reasonable prices provided with a smile. Check out our Facebook reviews, we’re really proud of them and we think they speak for themselves. ARA Vaults provides Safety Deposit Boxes and Vault Storage solutions to individuals, families and businesses in Sydney, Australia and around the world. ARA uses the most advanced technology, uses world class vault and doors and has Australia's most experienced team, with over 15 years designing, building and operating private vaults in Australia. Leading physiotherapists in The Hills. Sports, musculoskeletal & orthopaedic injury/rehab experts. Based in Castle Hill since 2012. One-to-one consultations. Personalised assessment & treatment. No referral required. AFI are experienced mortgage brokers who will manage the loan process to approval and beyond. We are committed to finding the right loan for any purpose and are renowned for helping our clients through the finance maze. Education consultancy supporting parents to understand and nurture their children. We specialise in bright complex children who may struggle with learning, social skills, emotional regulation and behaviour management. Hi Hills District Mums Group! We are Avant-Garde Glass, a frameless glass balustrade, pool fencing and splashback company located in Blacktown and Gordon. We would love extend a 5% discount to all Hills District Mums group members on full priced installations, just mention this Ad to claim! Call us on (02) 8840 3934 or 0405 320 671 to discuss how we can work together! - You live in an eternal state of chaos with your kids and love it. - Shouting is the normal conversation level for your family. - You believe sleep is for the weak. - Chasing down runaway children has become a sport. - You're someone who thinks they could never get a family shoot done because your kids are too crazy. I'm a father of 4 insane children, so I'm well versed in the art of chaos and love it, because that's when the best moments happen. Bebrite teams are fully trained, fully insured and provide a high quality, affordable and professional service. 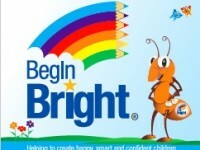 Begin Bright Bella Vista helps to create happy, smart and confident children through exciting school readiness classes and individualised primary tutoring programs. Brindabella designs and builds award-winning bathrooms and renovations that enhance the lifestyle of our clients. We are a family business that offers first-class service and high-quality workmanship. Our specialist, qualified and certified designers can create the home of your dreams while our licenced builders and expert site supervisors ensure every project is completed to our exacting standards. Conveniently located in Seven Hills, BWA Auto is an independent, family owned and operated European vehicle mechanical repairer. Operating for over 40 years, BWA Auto is passionate about their customers, and their cars. Bring your Audi, Volkswagen, BMW, Mercedes or Porsche to us and we will treat it as if it were our own. 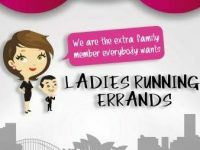 Mention "Hills District Mums" and receive Premium Service Package. Caper School of Performing Arts offers premium dance tuition for ages 2 and up in a friendly, professional and nurturing environment. This treatment is scientifically proven and performed by our nurses to ensure the best possible treatment for your child. The rapidity of the treatment allows parents to have their children back in class, lice-free in record time, without the risk of transferring the lice to other children in your centre. 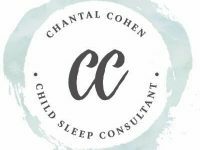 Qualified & caring infant sleep consultant. Give your child the gift of a good nights sleep! Hills District & North Shore. Carpet cleaning, upholstery cleaning & leather cleaning specialists. We vacuum for you & carpets are dry 1-2 hrs. Independently owned & operated family business. * Tile & Grout Cleaning. * Carpet & Upholstery Protection. * PURT (Pet Urine Removal Treatment). * Green Certified - Our proprietary cleaning agent The Natural (TM) & over 40 of Chem-Dry's products are Green Certified. Other Locations: Western Sydney, Northern Sydney & Manly / Warringah. Children’s Dentistry Castle Hill has been caring for young and anxious patients within the Hills District for over 30 years. We are passionate about making a visit to the dentist a positive experience for anxious patients and their caregivers. Try a better shopping experience. Try CircaRetail Shopping Centre. Close to home. Holistic Digital Marketing Agency specialising in developing and executing high performing online lead and sales generation strategies. SEO / SEM / PPC / WEB Experts at your service. Minimally Invasive Cosmetic Medical Procedures. Natural outcomes are the hallmark of our treatment objectives. Enhance and maintain your personal aesthetic potential. Creating Change provides psychological intervention and counselling for adults, adolescents, couples and families in a supportive and non-judgmental environment. At Creating Change Psychology & Counselling we believe that a healthy mind and body is everybody’s right. We provide a safe, calm and respectful environment in which you can explore your concerns. Whether addressing daily stressors or working through major traumas, Creating Change Psychology & Counselling aims to provide tailored, evidence-based treatment focusing on education and coping skills to manage your difficulties more effectively. 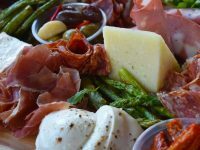 In the heart of The Hills District, Crooked Tailor offers expertly crafted cocktails and fresh seasonal food you can devour with friends. Perfect for group dinners and events with a Mezzaine level overlooking the bar and a glasshouse style entrance filled with natural light. It's also good just to pull up a leather couch and settle in for afternoon cocktails – you’re not going to want to leave. Come in and see Dav or Kev for all your servicing, mechanical repairs, minor auto electrical work & rego checks. All mechanical work is guaranteed. Our priority is to keep you and your family on the road safely. Dancing with Maree is a fresh and vibrant dance school for children and teenagers. We passionate about watching our students learn and grow. Local Professional Electricians You Can Trust! Specialising in all aspects of electrical works across the residential, commercial and maintenance fields! We make it easy to buy blinds online and save! 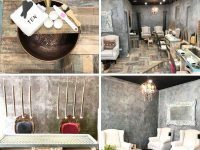 A beauty and nail salon located at The Terrace Shops, Rouse Hill. We are open Tuesday - Saturday with late night Thursday also. We specalise in pedicures, nails, waxing, facials, spray tans and other beauty aspects. Our friendly and qualified staff are ready to service you in our 100% council registered and approved beauty salon. Doolan Wagner Family Lawyers is a professional and accomplished team of dedicated specialists offering affordable, personal and trusted family law services. Creating more usable space in EXISTING Kitchens, Laundries and Bathroom cabinets with the addition of drawers. Dream Winks is a Holistic Baby & Toddler Sleep and Feeding Consultant. With nearly 10 year experience. We are based in the Hills District and offer Home Consultations as well as Email, Phone and Skype - Worldwide. Early Start provides a nurturing environment that caters to children's individual learning needs. We assist and support children to build on a range of numeracy, literacy and fine motor skills, confidence building, social and emotional development for their life long learning journey. Individual and group classes available. 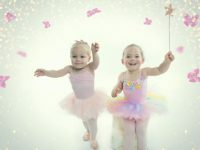 Eliza-Jane's School Of Dance provides fun and friendly dance classes in Kellyville and Pennant Hills. Contact us now for your free trial! Handcrafted school shoes made from premium leather for greater comfort and less noticeable scuffing. Eva is a qualified Personal Trainer, Massage Therapist, Be Activated Therapist and mum with three kids, husband and a dog. Eva believes in getting to the root cause of your aches & pains that may be holding you back, rather then just covering up the symptoms. She is passionate about breath - the most important part for life, movement - moving your body pain free and for longevity and essential oils for support of body & mind and living a toxic free life. 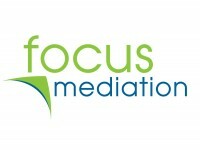 Focus Mediation specialises in family law mediation (also known as Family Dispute Resolution). We help families who have separated to resolve disputes regarding parenting arrangements and property settlement, avoiding the stress, cost and delay of court proceedings. By focussing on the future, we help parents and separated couples develop positive and practical outcomes for all involved, especially children. We work with a strong child-focus, ensuring that the needs of your children are the centrepiece of all discussions. Emily Robertson heads the professional team of mediators at Focus Mediation, and brings her experience as a family lawyer to her mediation work. Focus Mediation has offices in Castle Hill, Norwest, Parramatta, Gordon and on the Central Coast. Fresh by Dr John comes to you! We now provide in-home medical skin therapy in the Hills District. Book your treatment now at www.freshbydrjohn.com.au. Evening and weekend appointments are available. I will help you surprise the people in your life with a gift selected thoughtfully and especially for them (whilst saving you time, stress and money). I offer gifting solutions for personal (birthday, anniversaries, teachers gifts),event (wedding favours, party bags, classroom gifts)and corporate occasions. Guardian Solicitors and Conveyancers is one of the Hills District's leading law firms with over 50 years of experience with no less than 20 years in the Hills and Norwest area, and will personally assist you throughout your legal matter. 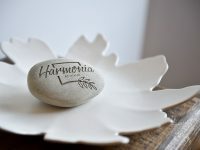 Harmonia At Home specialises in ‘Styling Properties for Sale & Homes for Living by Harmonising OLD + NEW’. Whether it’s making a Property more appealing to prospective buyers or a Home more liveable to existing home owners, emphasis is placed on working with what items clients already have on hand (the OLD) and harmonising these with any additional items (the NEW) to achieve the best possible outcome within budget. Contact Harmonia At Home today for an obligation free discussion and don’t forget to quote ‘HILLS DISTRICT MUMS’ to receive 10% off Styling, Consult, Product Selection & Sourcing fee quotes (product purchases not included). Offer valid until 31.12.19. Doula and placenta encaspulation services. Hills, Hawksbury and surrounds. Practising exclusively in Family & De Facto Law, we understand the complexities involved in these areas of law and we will provide you with informative and focussed advice to help you make the most appropriate decisions for you and your family. We are currently offering short courses designed to support strong family relationships and mental health/wellbeing in families of young children. Courses are run by two Masters degree qualified Counsellors who are also mums. For more information, or to register for a course, visit www.hillsfamilytherapy.com.au. 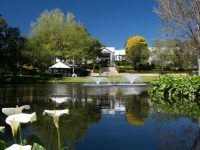 Hills Relationship Centre (formally Hailee Walker - The Couples Counsellor) is the leading provider of Relationship Counselling & Family Therapy in the Hills District of Sydney & surrounds. We are a team of comprehensively trained counsellors who have dedicated our careers to helping people overcome relationship challenges, which means you only work with relationship experts. Many businesses these days are so focused on delivery, Social Media takes a back seat. With the Social Media world booming, many businesses do not know where to start. House of Social does. The first sin of social media is not being there - let us help you increase engagement on your existing platforms. We are a Hills based business specialising in Home Fragrances all hand poured right here in the Hills. We Sell Luxury Candles, Reed Diffusers and MAXI Tealight Candles. FREE Delivery to all Hills Mums! New homes, knock down rebuilds and complete renovations. Creating custom designed homes to suit you lifestyle. Impact Conveyancing - Professional Conveyancing Services! In My Hood is an enchanting children's lifestyle store featuring a selection of bespoke brands and product, locally and globally sourced. Rachel is a fully qualified naturopath who believes in achieving wellness and wellbeing through nutritional advice, herbal medicine, health coaching and lifestyle changes. Inside The Lines Tennis Academy operates out of Richmond Tennis Centre which is located on one of the main thoroughfares in Richmond - we are right across from the RAAF base. Our qualified coaches offer lessons for all ages and abilities. We run social competitions, have a junior development squad, School holiday Tennis Camps and will be launching cardio tennis this year - we have all your tennis needs in one place with our Pro Shop which stocks racquets, shoes, bags and accessories we also provide racquet stringing and customising services. We are a local family owned business for supply & installation of Plantation Shutters, Blinds & Curtains. We love working with customers to make homes beautiful & bringing dreams to reality! Inspired Physiotherapy aims to work with their clients to not only help resolve their pain but also educate them to take control of their health. We strive to provide the highest standard of physiotherapy and rehabilitation possible while helping our clients achieve their health goals. Our Baulkham Hills Physio practice is conveniently located in Crestwood, which is within close proximity anywhere within the Hills District. We have two fantastic physios allowing for same day appointments and both are trained in a number of holistic treatment methods including dry needling and k-taping. Are you tired of always drawing on your EyeBrows, or tinting them? Then Cosmetic EyeBrow Tattooing may be your answer. Jane specialises in making your new brows look totally natural. Once you have perfect EyeBrows all you need is a slick of mascara and a lick of lipstick to be always ready. Fun, engaging and child centred Family photography. Customised Maternity, Newborn, Sitter and Toddler sessions. At a location or at Jazzy's amazing studio in Pennant Hills. 16 Years experience and Accredited with the AIPP. JAZZ * TAP * BALLET * HIP HOP (FUNK) * CONTEMPORARY * ZUMBA * ACROBATICS * GYMNASTICS * SINGING & DRAMA classes for all ages and abilities. If you want a personalised service from someone who truly cares about getting the right result, then lets have a chat. Whether your real estate needs are to buy, sell or just wanting an update on the market, I'm here to help. Karen L Haga & Associates has been operating from Castle Hill in north-western Sydney since 1994. Karin Murton Hair Design specialises in colouring, styling, blow-drying, cutting and special event hair. Whether you want a modern edgy look, or something a little more subtle and classic, our award winning, innovative and creative team will give you the style you’re looking for. Now is the time to have the colour you’ve always wanted! 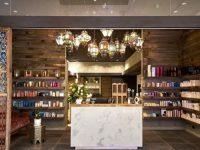 Karin Murton Hair Design is a multi award-winning salon, including Winner of The Most Outstanding Hairdressing Salon – Sydney Hills. A recent study found that over 80% of child restraints are either installed incorrectly or greatly misused. I am here to try and turn this statistic around. 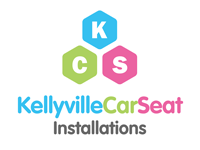 FREE checks 365 days a year on installs you have done yourself. 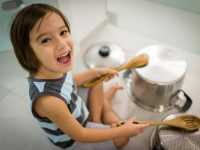 Kids Love to Cook is a mobile cooking school, offering cooking classes, school incursions, birthday parties, and cooking events for children throughout Sydney. Alice is qualified in Integrative Complementary Medicine, Holistic Kinesiology and Mind Body Medicine. She is a published author and is also trained in meditation, aromatherapy, nutrition, homeopathy, reiki, essences and more. More importantly, Alice is a HDM, wife and mother of 2 children. Bringing together the best of eastern wisdom and western knowledge in an evidence-based therapy to restore your health and well-being. Showcasing an extensive range of King Living award-winning sofas and designer furniture including beds, dining, outdoor furniture and storage, as well as the Former Italy Collection. Paediatric Occupational Therapy services. Individual and group sessions. Evaluations. Clinic, home and school visits. At La Vera Beauty we create a space of serenity that is your time to escape and our time to focus on restoring you to optimum skin and body health. From the moment you walk into the salon you will be welcomed with expert advice and exceptional skin care and body therapy. Our goal is to leave you feeling rejuvenated whilst bringing balance to your skin, mind and body. Over 30 years of experience in providing electrical services. 24 hours a day, 7 days a week service. Servicing the Hills area, Epping, Parramatta, Chatswood, and Ryde. Learning Links is a not-for-profit charitable organization with over 40 years of experience in helping kids learn. Our specialist professionals work with children, parents, carers, families and professionals across Sydney and NSW. Our Bella Vista branch is opening in February 2017 at 6a/5-7 Meridian Place, Bella Vista. Leor In Home Early Learning places early childhood educators in the family home to deliver curriculum-based learning to children aged between six weeks and six years. Melissa is a dōTERRA leader who is passionate about educating people about essential oils. She has a strong interest in family health, toxic free living, and using essential oils to support health in general. Melissa is passionate about sharing her experiences with dōTERRA oils, and how they have changed her and her family's lives. At Little Mess Makers we're for play! Sticky, oozy, gooey, messy play! We offer unstructured, child led sensory play for children aged 12 months to 5 years. We are located at Hornsby Heights, Gordon, West Pennant Hills and Castle Hill, and have sessions Monday through to Thursday. Lockrite Locksmiths are a mobile Locksmith and electronic security business servicing all areas of the Hills district. We can assist you with all your lock and key, alarm, intercom, access control and CCTV requirements - domestic and commercial. All HDM's receive an ongoing 20% discount at UTF Black Belt School. 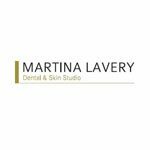 Dr Martina Lavery has been a dentist in the hills district for 17yrs, has opened a boutique dental and skin studio in Winston Hills. We have a preventive and regenerative philosophy of care carried out in a gentle understanding way. Children’s dentistry at the studio is fun! We offer all dental services in a unique spa like environment. Matthews Folbigg is a major law firm specialising in both private client (Family Law, Estate Planning and Property) and Commercial Law matters. Matthews Folbigg has been successfully providing legal advice to people in north western Sydney and The Hills for over 50 years. Located in the Hills District of Sydney, Maven Dental Castle Hill is a state-of-the-art, award winning practice with a wealth of dental experience. Contact your local Maven Dental Clinic Castle Hill if your baby shows signs of a cavity or decay. Signs can include a white, dark brownish, or black spot that doesn’t brush or wipe off or a tooth that looks chipped or cracked (when no previous trauma has occurred). Prevention however is key to reducing early childhood dental decay. In addition to children's dentistry, Dr Fred and his dental team in Castle Hill will ensure they deliver you the perfect treatment that offers you maximum benefits, whether you're in need of a simple filling or a more complex cosmetic dental procedure. Maven Dental Castle Hill also offer emergency dental appointments for those that require. 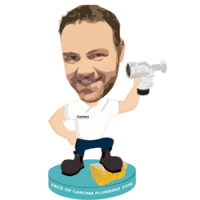 I’m Steve McMurray, I’m 33 and have been Plumbing since I was 17. A local, reliable plumbing business with almost 20 years experience. Plumbing, roofing, drainage, gas fitting. CCTV inspections and high pressure pipe jetting. TMV and backflow prevention accredited. No job too small, we service all areas of Sydney and are available 24 hours for emergencies. SPECIAL OFFER FOR HDMS: GET YOUR FIRST SERVICE CALL FREE (VALUED AT $60). CLICK FOR MORE DETAILS! MindChamps Early Learning Centre @ Cherrybrook is a new Child Care Centre for children aged 6 weeks to 6 years old. Located next to the popular Cherrybrook Aquatic Centre, we currently have vacancies and are enrolling now for all rooms. 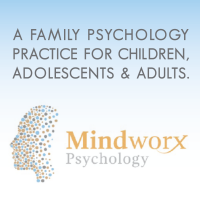 Child, Adolescent and Adult Psychological Assessment, Treatment and Counselling. As a family practice we work with children, adolescents and adults facing a range of problems, from anxiety and panic to low mood or motivation. Problems that get in the way of relationships, of making friends, of work or at school. We offer evidence based treatments that work, including group and individual sessions. Learn to dance, sing and drum with professionals who are both accredited and fun! MNM Creating and Performing cater for all ages and experience; tiny tots, to teens and adults. Experience, qualifications and a true passion for the creative arts, expression in dance, music and all things vocal/musical have ensured our ongoing success over the years. Founded in 2004, Momentum Dance Studios is an award winning dance school providing, high quality dance education for children age 3 years and up in a friendly, professional environment. 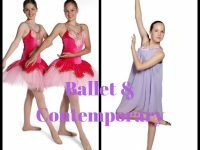 Classes available in Ballet, Contemporary, Jazz/Funk/Hip Hop, Tap, Musical Theatre, Acro & specialised classes for under 6's. Conveniently located in Norwest, Momentum Pilates and Yoga is the fastest growing Pilates and Yoga community in the Hills. We provide specialist Pilates and Yoga services, with an emphasis on delivering the best possible experience. Mr AV is your local audio visual experts. We can assist you with everything you need to help transform your home or work space into an interactive and immersive space. Our AV teams specialise in wall mount installations, supply of equipment, full home theatre design and installation, home automation, boardrooms, digital signage and cabling. With us, you will receive friendly, reliable and competent service with no mess left behind. Fully insured and qualified. Check out our reviews on Facebook and you'll know you can trust us to get the job right. Music & Movement Classes for Babies 9 months to 5 years old. 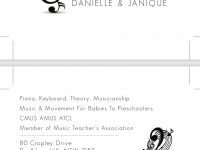 Piano, Violin, Viola, Saxophone, Theory and Musicianship Lessons. My Kids Market NSW is the premier Market for local families to buy, sell and recycle gently used pre loved baby and kids goods! My Memory Books - because a moment from today is a memory for tomorrow. Beautiful books for a range of occasions. 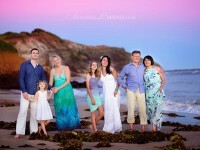 Nat is an Accredited Professional Photographer in the AIPP based in the Hills District of Sydney, Australia. She captures the beauty of natural moments in her stunning images with a focus on maternity, newborn, baby and family. Family, Maternity, Newborn, Kids, Party and Christening photographer located in Hills District and servicing all of Sydney. My style is vivid, emotional and I love to create a magic story about casual life in my pictures. Capturing those first precious moments of your little one's arrival. I specialise in newborn, baby and maternity photography. I love what I do and would love to have a chat about capturing this new chapter in your family's lives. Helping children achieve great smiles by promoting the connection between healthy teeth and healthy bodies. Not Just A Party Bag is as the name suggests...we create custom party bags/boxes/tubes/containers (anything you can safely fill with confectionery and novelties!) for little kids and big kids!! You choose the size, the content and the quantity and let us do the rest. 'Let us help you think outside the bag'. Family day care (FDC) is a child care service offering families affordable, personalised care by a qualified educator in a safe and nurturing home environment. ... I am monitored and supported by working at a local level interacting with the childrenand families. Omnia Bookkeeping is here to lend a hand. We take the pain out of bookkeeping so that you can concentrate on your business. Choosing your dentist is one of the most important decisions you can make about your health; it transcends clinical skill and knowledge. It is about a relationship built on trust. Dr Wendy Wang has established her reputation as one of Sydney’s most respected general and cosmetic dentists through an authentic dedication to her profession, her patients and her art. You’ve made the right choice…. PARTYJAY the party supplies store that sells happiness! Make your next event a memorable and enjoyable one. Let our experienced and happy staff create a vision of wonder from just an idea. With over 10 years experience in the hair industry, Peter has a unique talent for creating eye catching hair that is tailored to suit your individual features and lifestyle after an in depth consultation. Peter looks after you from start to finish, where he spends generous amounts of time perfecting your look and making sure you leave feeling great. Fully-equipped modern hospital providing professional veterinary services for dogs, cats, rabbits, and other companion animals. These services include health checks, vaccinations, desexings, microchipping, dental procedures, xrays, blood testing, hospitalisation and surgical procedures. Come & visit us for a hospital tour. Hills District Local Business Awards finalist 2018. Picaluna is a business that offers a better way for family and friends to say goodbye to the people they love, through funerals, memorials and authentic life celebrations. Ladies Fashion at AFFORDABLE prices. A wide range of ladies wear , footwear and accessories..
Pistachio Entertainment supplies energetic and dynamic children’s services such as live entertainment for the private and corporate sector as well as education curriculum based dance active programs. Powerclub are the energy provider that gives members access to energy at wholesale prices – and you can’t buy better than wholesale! The Hills are the first community in Australia to be able to sign up. I am a local Plumber looking to help families and households with everyday maintenance work or a middle of the night plumbing emergency. Our plumbers are prompt, dependable and strive to provide you with the best possible service at a fair price which is backed by a 100% lifetime labour guarantee. QUENNIE DIESTA is a qualified, professional freelance makeup artist and hair stylist. Her experience includes makeup and hair styling services for wedding/bridal parties, special occasion makeup and hair, fashion & editorial shoots, corporate photo shoots, music videos and tv/short films. 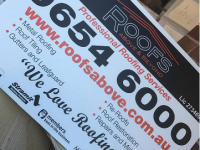 We are a local roofing company with a passion for quality roofing that is second to none. We have a team of roofing experts who are more than happy to answer every question you have, pay attention to detail and deliver outstanding results – every time. We’re not happy unless you are. RWA Psychology - Family Matters is a boutique psychology clinic operating for over 19 years with an exceptionally experienced team of psychologists covering matters across the lifespan. deliberate self-harm, low self-esteem, bullying, school-refusal, anger management, perfectionism, childhood fears including nightmares and fear of the dark, bedwetting, tantrums and exam stress. 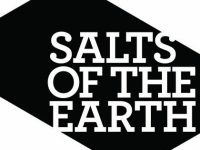 Salt therapy is a natural complementary therapy which helps relieve the symptoms of breathing conditions such as asthma and skin conditions such as eczema. It is anti-viral, anti-inflammatory, anti bacterial as well as being an anti-histamine. Our Accredited Family Law Specialist, Sarah Bevan & her team of Family Lawyers are based in Parramatta, Sydney, with offices in Surry Hills and Mosman. We are leaders in Surrogacy, International Family Law, Child Custody & Divorce matters, and will deal with your unique case with sensitivity and experience. Call us now. Who doesn't want to be Sensibly Organised? Who doesn't want to be able to find things quickly, easily and fast! 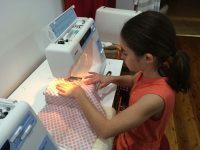 Sewing Time is an after-school and holiday program that teaches children aged 7 - 12 and teens how to sew in a fun, friendly and creative environment! Sewing Time inspires confidence in your children, aids their hand-eye co-ordination and attention to detail, as well as developing your child’s creativity and individuality by teaching them valuable sewing skills through a range of fun and fashionable projects - from clothing to homewares and everything in between! Established in 2004, the Sister2Sister School of Singing is a specialised singing school offering complimentary tuition in Music, Drama and Movement along with varied workshops and ample performance opportunities for Pre School Age to Adults. Aria Award Winning Directors and sisters, Christine and Sharon Muscat, founded the school with the intention of offering unrivalled professional experience direct to their students with a vibrant and youthful approach. Their passion is to not only deliver excellence in vocal technique, but to nurture individuality and creativity in every student. From the primary studios in Castle Hill, today the school boasts over 400 vocal students of all ages and abilities, all of whom were personally assessed by one of our school Directors. Soccajoeys is Australia’s leading children’s soccer program. Soccajoeys is run in a fun and enjoyable indoor recreational setting for children to learn and play soccer. This experience is for boys and girls aged 2.5 to 8 years, where activities include fun games, instructional scrimmages and skill demonstrations. We have classes running 7 days a week in various locations within the Hills District. We are a family owned & operated footwear retailer in Sydney's Hills District. We are Children's Fitting Specialists & also stock Womens Fashion Footwear. Steps Financial are financial planning company who provides you our clients with a financial health assessment and recommendations to educate, empower and improve your financial circumstances both immediate and in the future. We will guide you and be there with you step by step. Sweet Lilac Cakes is proud to create simply delicious cakes that taste as good as they look! Please visit our Facebook or Instagram page for more info. Sydney Women's Physiotherapy provides physiotherapy treatment for many conditions including musculoskeletal, pelvic floor dysfunction, breast conditions and pregnancy and post natal discomfort. 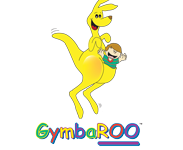 We also run weekly general, prenatal and mums and bubs pilates exercise classes. I capture real, candid images of moments in life. Unobtrusive and relaxed. All sessions are held in-home or at a favourite location of yours. At Tajik Lawyers we provide professional legal advice and legal representation in the area of family law. We take the time to listen to you so that we may provide you with tailored advice which best suits your needs. Life is about creating experiences that are worth cherishing! Get immersed in a relaxing, elegantly appointed and memorable aesthetic atmosphere. All single use tools including nail file which you take home with you after use! Total hygiene !! How does a glass of bubbles sound with your mani or pedi? If you’ve got a thirst for craft beers, hearty yet refined pub food and entertainment for all the family, let Rouse Hill favourite The Australian Hotel and Brewery quench it. We’re all about family, food and fun at The Australian Brewery, with boutique craft beers brewed on the premises, an expansive sporting and games hub, private function rooms, all weather kids play areas and a large bistro serving fresh local produce and daily food specials. We are a local family run business striving to offer the lowest prices with only the best products. We are fully licenced and insured. 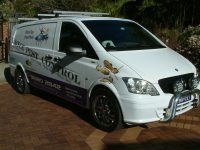 We can take care of all household or commercial pests, providing long-term solutions and pest management plans, also providing long term management solutions for a variety of pests ie. Termites, cockroaches, birds, ants and spiders. 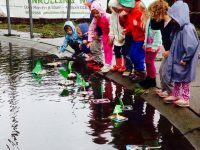 The Children's Preschool is a hidden gem nestled in Glenhaven. We are small, family owned and loved, offering a bespoke early education and care service for 39 children aged 3 - 5 years daily. We are open 8:30am to 4:30pm, Monday to Friday, operating for 48 weeks. Our home like, organic environment, enables children to live, learn and develop relationships, making secure connections with friends, family and educators. The Children's Preschool is rated as 'Exceeding the National Quality Standard' in each of the seven quality areas by the Australian Children's Education & Care Quality Authority. The Cooks Workshop is a happy place for those who love to experience the delights of creating with food. We offer small group workshops where everyone creates at their own table. Our Chefs bring a broad range of culinary experiences that enhance our programmes. We offer a myriad of class options to choose from and for groups of 10, workshops can be organised to meet your own design and time frame. Our community is filled with wonderful choices around food. An abundance of fresh ingredients and a multitude of cuisine influences. Cooking is a life skill for good health, happiness and wellbeing. Come and learn with us in a fun and relaxed environment. The Discovery House Preschool is a unique family run early learning center with a focus on providing quality care and education. This enables each individual to progress to primary school confident, and ready to continue the education that they commenced at The Discovery House Preschool. The Centre is proudly Australian owned and has operated since 1976, setting an exceptionally high standard of care in the Hills District. We believe in full collaboration with the parents, so that together, we can give your child every opportunity to form a strong and lasting foundation for their future. The French Kitchen Castle Hill is the "home" of Rafael's famous "French Mud" cakes and "Profiteroles". The all new French Kitchen open 7 days a week supplying all your party needs to help you throw a great party, event or function. Think party think The French Kitchen for all your balloons, party ware, savoury food, hire & catering needs. 30 minute group training sessions delivering the most efficient HIIT workouts which give you the most effective health & fitness results. The Laser Lounge Castle Hill is an industry leader in laser hair removal, skin rejuvenation, stubborn fat and cellulite reduction as well as cosmetic injections. As training partners of the Australasian Academy of Cosmetic Dermal Science we teach Doctors, Nurses and Beauty Therapists dermal therapies and cosmetic injectables. As a client, you will be comfortable, safe and at ease knowing you’re being treated by the most professional team of practitioners. We offer all clients a personalised treatment plan with no hidden costs. We are the most affordable laser, skin and cosmetic clinic across Australia! 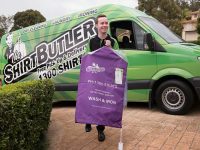 The Shirt Butler is the fastest growing laundry service in the Hills District. At the touch of a button, your laundry is picked up, cleaned by our trained professionals and brought back to you, meaning laundry time can now be used for the things you’d rather be doing. Thinking Artz Workshops and Clubs aim to foster Creativity and Imagination through Art, Writing and the use of Digital Technologies. Activities are designed for children aged 7-13 and are planned and led by qualified, experienced teachers in a fun environment. Ballet is a perfect choice for parents who are looking for an activity that combines fun, creativity and exercise. Tiny Toes Ballet goes the extra mile to ensure a magical experience for everyone. The Tiny Toes Ballet program is based on the Royal Academy of Dance International Syllabus, but when the children are here, it doesn’t feel like they’re doing ballet. Instead, they will be walking on tightropes with parasols, painting rainbows in the sky with ribbons and galloping with ponies. Specialising in children 2 to 7 years old, our teachers provide a warm and nurturing environment for your little darling to prosper. Call 9620 9620 for a no-obligation trial today! Other Locations: Beaumont Hills, Carlingford, Castle Hill, Cherrybrook, Kellyville, Kings Langley, Rouse Hill, The Ponds, Winston Hills plus more in the Inner West and North Shore. 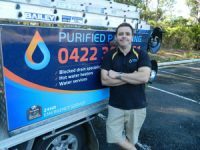 Honest and reliable Licensed Plumber, Drainer and Gasfitter based in Wilberforce, servicing the Hawkesbury area, Hills District and surrounding suburbs. Towncars provides a simple, cost-effective chauffeur service. With a fleet of luxurious vehicles and accredited drivers, we offer competitive fixed-prices with no meters or tolls. Pre-book your Towncars Australia wide, it’s easy and convenient. Can do any travel. From International to Domestic. Tyre King Baulkham Hills is very unique. Unlike many other retailers, we are absolutely, undeniably, proudly 100% independent. All of the Tyres, Rims and Wheel Packages we suggest and sell are tailored to you and your unique requirements, budget and car. Our Car Servicing department will make sure your vehicle is safe for you and your family without breaking your budget. We are a team of highly-skilled real estate professionals, experienced in negotiating hundreds of residential property sales, off-the-plan project sales and niche property developments. We are interior designers and it is our passion to make everyone in love with their home. Our clients are real people with real budgets, and we want to make your dreams come true. Wannabees is a play town where kids can explore and try different jobs for a day. We help kids discovering what they wanna be when they grow up. 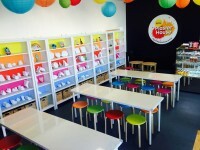 At Wannabees you can host kids birthday parties, come for a play, school excursion or for before and after school care. Because of its educational content at Wannabees we help kids to develop their social and emotional skills while they have fun. We encourage parents to join the fun too, but if you want to have some me time, you can drop them off and go to the gym, or go for some time alone. You can also stay in our centres enjoying gourmet food and coffee in our restaurant, while we entertain the kids. Warrah Biodynamic Farm at Dural grows a wide range of certified biodynamic/organic seasonal produce, picked daily for sale to the public in our Farm Shop. The shop is open 6 days a week and also sells certified organic meat, dairy and groceries from other local boutique producers. Come and visit us at the Warrah Farm Shop. We would love to meet you! At Westmead Fertility Centre we believe all Australians should have access to high quality fertility care at an affordable price. Since 1984, we have been helping people to realise their dreams of becoming parents. As a University of Sydney clinic, our patients have access to the latest research and scientific expertise. Westmead Private Hospital has been serving our community since 2000 with quality maternity care. Our maternity services have been developed to provide flexibility and choice with a focus on you and your baby’s individualised care. 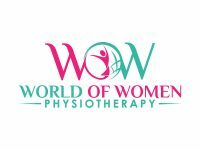 World of Women is a specialised Women's Health Physiotherapy Clinic & Exercise Studio in Bella Vista (Norwest Business Park) dedicated to improve the Pelvic Health of Women in a safe and respectful way. I am a licensed, skilled and passionate Mortgage Broker with Yellow Brick Road, Sydney CBD and a local Hills Mumma! 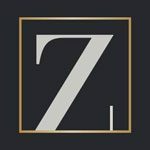 Zippy Financial is your expert broker for Residential Mortgages, Vehicle and Asset Finance, Commercial Lending, Wealth Planning and Investment Property Sourcing. 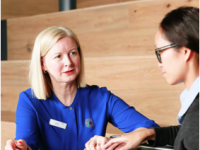 Founded by Principal Broker, Louisa Sanghera, who brings over 25 years experience in banking and the finance industry, Zippy Financial has grown quickly to become a favourite among North Shore and Northern Beaches families. Louisa is a multi award nominated expert in the field of finance, a sought-after keynote speaker at finance and investment seminars across the country and a popular contributor to a variety of industry publications. Louisa loves being a part of the Hills District Mums community and really goes the extra mile to take care of her network of wonderful Mums.